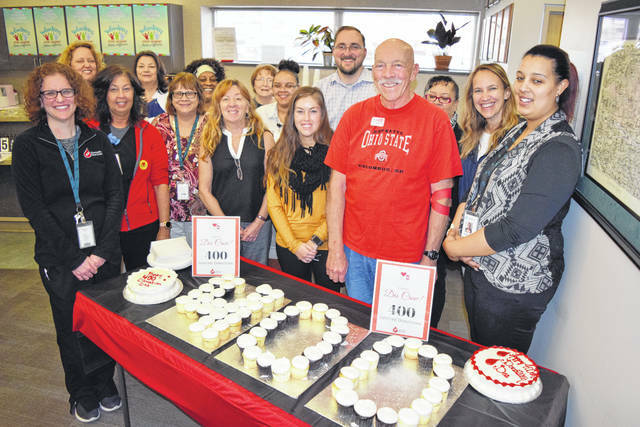 XENIA —Des Crow faced many road blocks and detours before reaching his milestone 400th lifetime donation April 10 at the Dayton Community Blood Center. The past year may have been the most difficult of all for the Xenia donor. But the challenges of the journey have made the milestone more rewarding. Crow called his 400th donation “just another day,” but it represents more than a number. He has been a CBC blood donor for nearly 50 years and has donated platelets for the last 30 years. He is a rare B-negative blood type donor, representing only 1.5 percent of the population. Platelets are vital for the treatment of cancer and trauma patients. Crow grew up in Steubenville and came to the Miami Valley to work as an industrial engineer at GM. He made his first donation in 1970. He became a platelet donor when called on to help an infant named Melissa Stover who born with a rare bleeding disorder. Des worked at GM for 29 years. He and his wife Sharon had two children still in college when GM downsized and later closed. He came to work at CBC for 10 years as a mobile coordinator and in maintenance, and returned to work part-time until 2011. His donation routine was interrupted for nine years because of an irregular heartbeat. It was resolved surgically and he returned to donating in 2008. He faced another set-back when he was deferred for two years after successful surgery for prostate cancer. He returned to donating again in 2015 and since then has donated “the max” he said of 24 platelet donations per year. The harshest blow to Crow came last year when his wife Sharon died after a fall in their home. He has four grandchildren and travels frequently to visit his son’s family in Texas and his daughter’s family in Seattle. 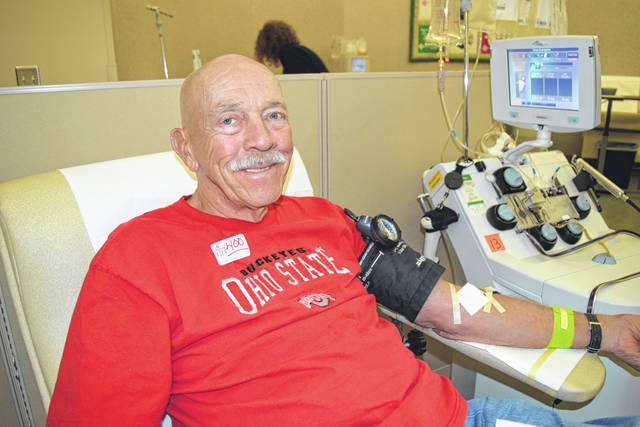 He will turn 80 next year and his mission is to continue doing his part to maintain the community blood supply.